I just hope and pray, that you are doing as well as we, by God’s grace, are doing. There are different seasons of our life, different phases, but the one I am experiencing right now is spiritually fulfilling and part of it, Friend, is your friendship. Thank you so much for your prayers and occasional notes! June was a good month, very busy, but that’s just standard. Now, in July we plan to slow down a little as most of the planned conferences and activities are about to end this very week. We are expanding our house! Yes, after much prayer and looking at the various options we came to the decision to enlarge our house by adding a pavilion of some 15.000 sq. feet to accommodate our staff and operations. Eight people are to work there, also a conference room will be added to ease the congestion in our home where two our bedrooms are being used as offices and a small storage attic being used by two other staff members!We have a team of builders who tell us we can move by the end of next month (August 2017). Though this sounds ambitious we are right on schedule. My function is liaising with the architects, interior design and equipment (and any other jobs that might occasionally need doing!). Our garden is a quagmire now but, with the eyes of imagination, we are visualizing how beautiful it will eventually be, soon, very soon! 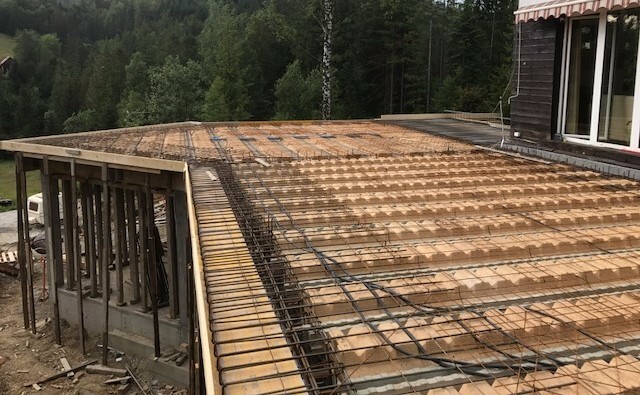 At the same time Krzysztof is working hard to finish the new offices and radio studios in new rented premises in Gliwice by the end of July. A steep learning curve for both of us. But our regular work is going on flawlessly thanks to all out team members who are deeply involved and know exactly what is expected from them, frequently exceeding our expectations, thank you Lord! Outback leaders meeting in preparation for September weekend. After the great Outback family weekends I described last month we needed to find a better storage for all our camping equipment and gear that we use. A decision was taken to purchase our own standard containers, 6m x 2.4m (19ft.8in. x 7ft. 11in.) for storage and two more, as washroom/showers/restrooms. Long term, it will make substantial savings as we shall not need to rent storage and facilities twice a year… A friend with experience in this field has agreed to build it for us. An added benefit is that, if we want to help others running Outback camps around Poland, we can more easily transport most of the equipment / tents, etc. to any desired location. 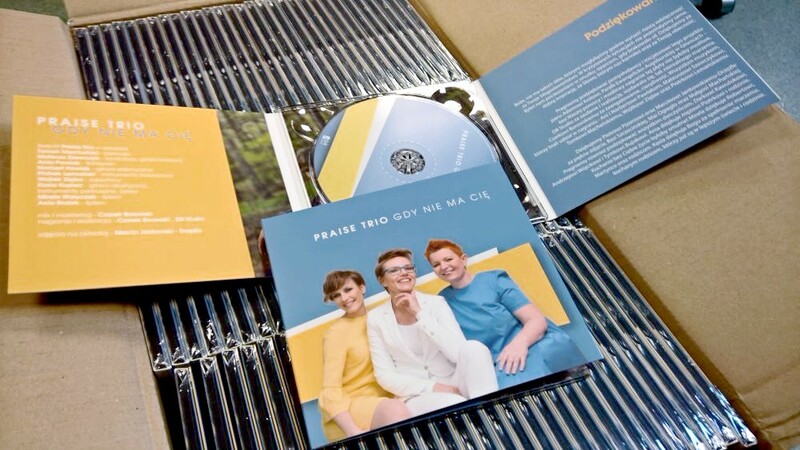 “Praise Trio” – new Christian music production sponsored by our Association. Bogusia and I went to a Lausanne Movement conference for Christian leaders held in Wittenberg, Germany, a fitting location on the 500th anniversary of the place where Martin Luther nailed his thesis to the door. It was a great time of networking and sharing. Our present focus, on Today’s Discipleship, was only reinforced by literally everybody agreeing it should be the main activity of the Church. Then we had an excellent visit of our friends from the Isik Abla ministry, targeted at reaching Muslims for Christ. Isik, the lady leading it, converted from Islam, and is wonderfully used to reach millions of people via radio, satellite TV, and conventions, with over 6000,000 people following her on Facebook. She has asked Community Bible Studies and us to help her with her follow-up work. 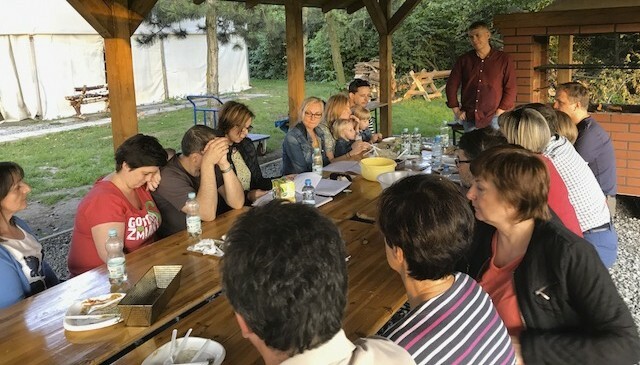 While here in, she spoke first at a Catholic conference and then shared her testimony at a Women’s Breakfast organized by Bogusia and the people of the church we attend here in Wisla. 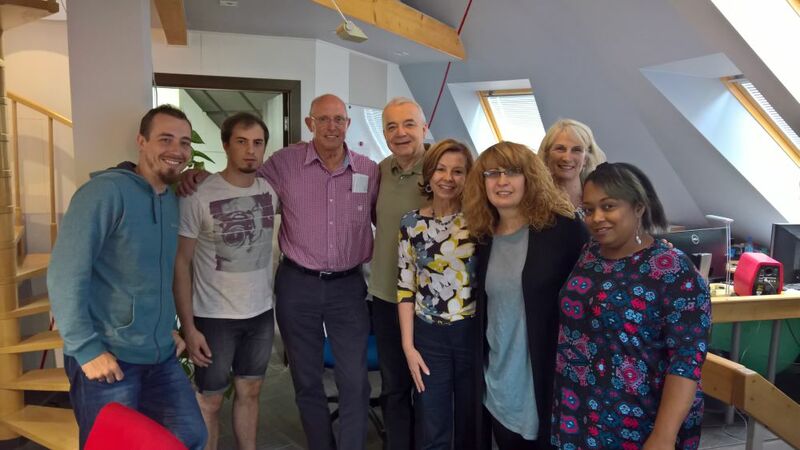 Our media team filmed 20 videos with Isik, they will become part of new on-line courses we are preparing that we pray will draw people into Christian discipleship. All this occurred just after we signed an agreement with Mohabat TV, (another ministry reaching Muslims), that want to use our software platform for follow-up. Hallelujah! 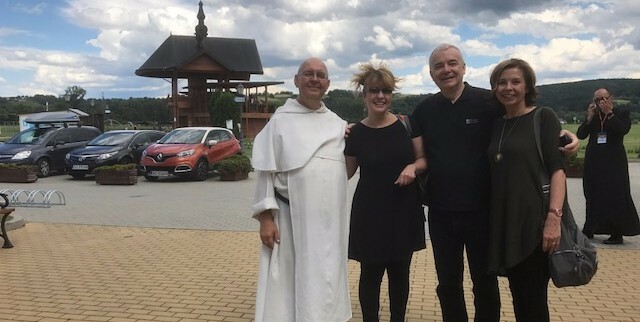 Isik Abla and her team visiting in Wisla – we’ve had some really good time! Together with Father Bujnowski – initiator of a big Catholic musician gatherings. The Women’s Breakfast went also well, with over 800 ladies participating and our staff organizing the streaming of the event to hundreds of people who could not attend. We joke that now husbands can check what their ladies are listening to! 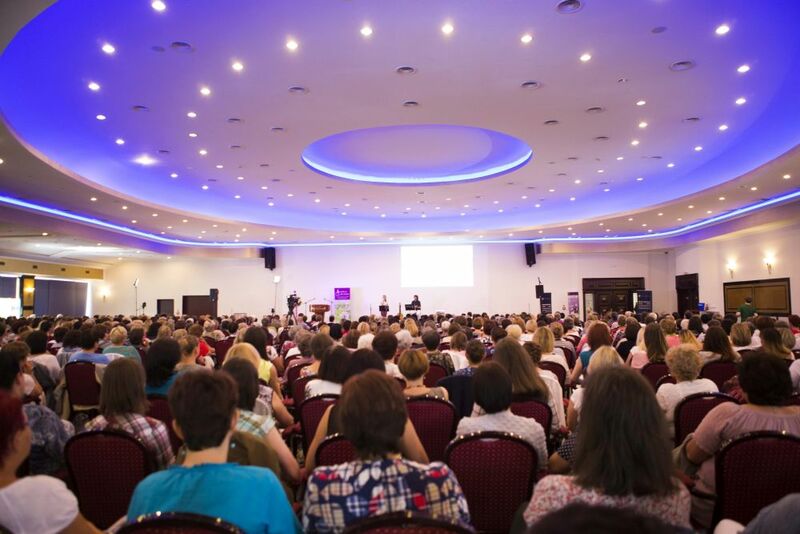 Around 800 woman meet on a nice breakfast and later attend an evangelistic program in one of Wisla hotels. 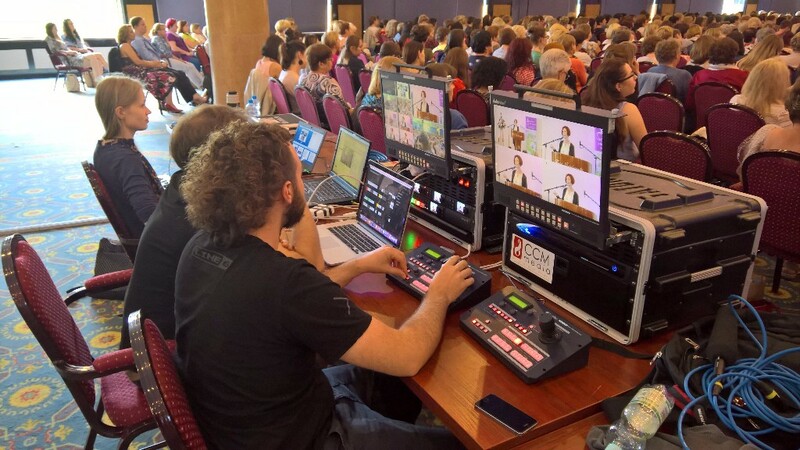 Woman’s breakfast was streamed online using our new video system. 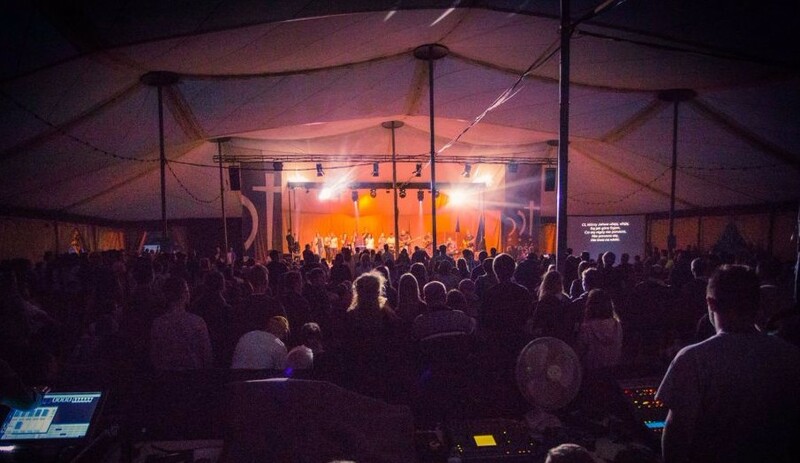 Last week, we were involved in the Dziegielow Gospel Week, with some 2,000 people coming every evening to listen to the gospel. Traditionally we’ve had our Christian music stand there and our young people were playing music during whole week. But soon it will slow down a little and I will be able to work on our book that we are writing together with my sister Nina and brother Adam, on God’s faithfulness over 5 generations. Please, pray I will be able to concentrate on it. Thank you, Friend, for being with us all the time, watching God using our small efforts to influence others. And thank you, too, for all your prayers and involvement. You are a significant part of all we do. Keep on, dear friend! Unity and spirit of love among staff. A new production translating into Polish Corrie-ten-Boom documentaries. Launching of Gele (CODEX) 3.0 software platform. Special strength for Tomek who is so tired after working 6 years on this project. How can I overcome fears in my life? Hello. As I write to you I also ask you for your prayers. I have very difficult time now and I don’t feel needed in my ministry (for last 12 years I was a choirboy) and in my fellowship. It used to be different with our former priest but now when he’s gone I don’t get so much appreciation and encouragement from the new vicar. I was trying to talk to somebody in the fellowship about my problems but nobody nad time for me. I’m thinking about leaving, I feel empty…. Is it possible to overcome depression without seeing the psychologist? What should I do after loosing my friend? Sometimes I even think about ending it all… I don’t feel anything, nothing brings me joy.